Much like the holidays, RSNA is an event we anticipate with great excitement and then is over in a whirlwind. We’ve returned with sore feet, full bellies (thanks to Chicago deep dish), and hoarse voices from hours of conversations. Below are a few highlights from our experience at this year’s show. We highlighted the newest customers to join our 1,000+ provider network, Atrius Health and Envision Radiology, and showcased new product features such as automated DICOM wrapping of non-DICOM images, the Personal Accelerator that improves diagnostic viewer speeds on laptops for physicians who need access out of the office, and individualized profile settings to configure the viewer for each physician’s preferences. We had a great time demonstrating these new features to customers at our booth. 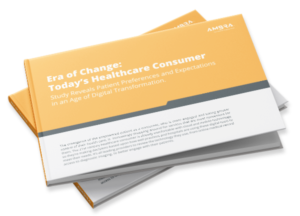 The flexibility provided by Ambra Health, working with Google Cloud, enables large multi-hospital institutions, as well as radiology imaging centers and small medical groups, to easily access and share medical images with physicians and patients anytime, anywhere – critical capabilities in today’s value-based healthcare industry. Ambra Health CEO Morris Panner shared more at the Google Symposium, and Ambra offered live product demos at the Google Booth. The inaugural RADxx awards honored outstanding individuals who have helped to lead the way or are emerging fresh voices in imaging informatics. We revealed the winners at a reception held at RSNA. Learn more about the winners here, and watch Ambra Health’s CMO Mini Peiris & RADxx member Dr. Amy Kostenas of the Mayo Clinic discuss the event. Can You Predict the Imaging Trends for 2018? We also asked those who stopped by our booth to give us an image management prediction for 2018. Stay tuned for these predictions to be posted as part of our annual top imaging trends to watch for. Want a sneak peek? You can expect a lot of interest in machine learning, AI, and radiologists stepping out of the dark room and adding new facets to their roles. « At Ambra We’re Grateful for.. RSNA!